Na Tak meetings are a series of international conferences organized by the Na Tak Association and the Adam Mickiewicz University in Poznań. From 2015, the strategic partner of the conference is Harpo. This edition of the International Conference “(Nie)zależność” (Eng. “(In)dependence”) was held on November 9-10, 2018 in Poznań, Poland. On the first lecture day when speakers from Poland and abroad visited and where the issues of supporting the independence of people with different disabilities were discussed, a number of exhibitors also presented their products, technologies, and Harpo also the SUITCEYES project. During the conference, the participants tried to answer questions about independence and what can I do to support the independence of my relatives, patients and other people with disabilities, how to recognize areas in which people we know can strengthen their independence, even if in some degree they will remain dependent on always, etc. Modern technologies have been explored, which are a better and better complement to the functioning of people with disabilities, allowing them to make autonomous decisions, make choices, communicate their needs and function in society. There was the opportunity to hear four different lectures and participation in eight workshop blocks during the conference. 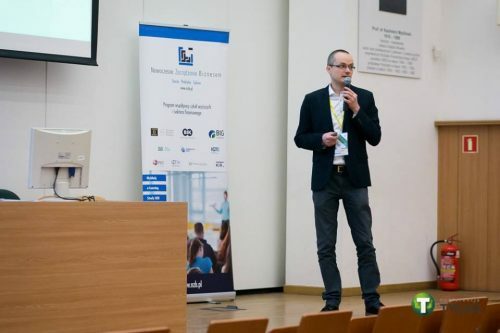 In total, twenty-three outstanding lecturers, both from Poland and abroad, shared with the audience their knowledge, experience and working methods. The conference was accompanied by an exhibition of technologies supporting the education and therapy of people with disabilities from all over Europe. Nine exhibitors presented specialized supporting electronic devices, and Harpo as the only company among exhibitors, presented also not yet finished product or technology, but our SUITCEYES project, which aroused curiosity among the visitors of the exhibition. We have heard many warm words about the fact that solutions we propose are needed by people with disabilities to feel more independent and needed by society. We were supported to present the finished product during the next editions of the conference. Three hundred sixty five people attended the conference. 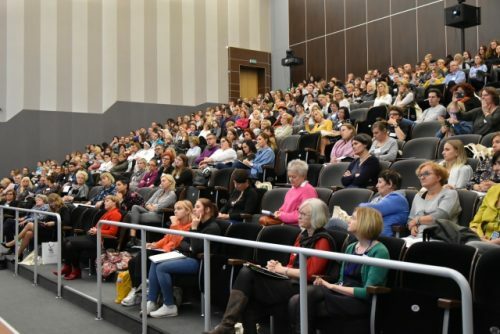 In the lecture hall and during the exhibition, as every year, scientists, social workers, therapists, physiotherapists, carers and assistants of people with disabilities were hosted, as well as parents, students or volunteers. Therefore the spectrum of people visiting us was very wide. 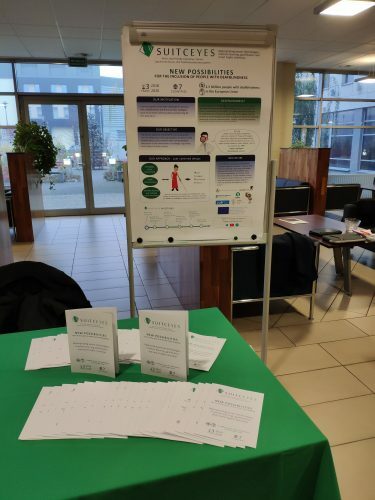 At our design stand, we presented the SUITCEYES poster and distributed promotional materials. We hope that at least some of the visitors will be interested enough to come back to us or subscribe to our newsletter.